TABCO 3000 welded aluminum rail offers excellent durability and exceptional strength. The rigidity of fully welded aluminum makes it an excellent choice for high traffic areas and anywhere an extra margin of safety is required. 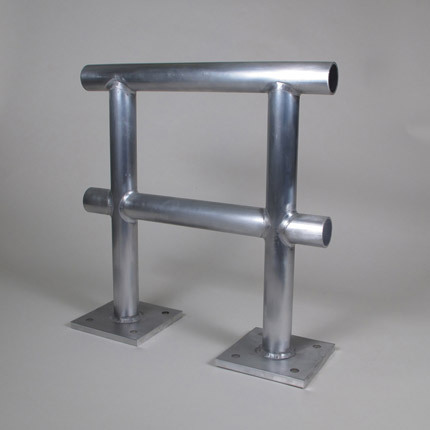 Our welded aluminum rail is manufactured in strict accordance with shop drawings to offer fast and easy installation.